If you are Going away and would like to have the option to check in on your cat almost any time from your smartphone or tablet, then consider our “Petzi Cam” service. 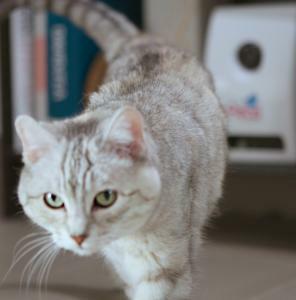 The Petzi Treat Cams are set-up in some of our condos in the Cattery and contain an HD camera, high-quality audio, and the ability to remotely dispense treats at the touch of a button. Also, the iOS and Android apps allow you to interact with your cat, as well as share their pictures and videos via social media including Facebook, Twitter, and Instagram. Mary’s CatVilla was recently featured in the Kapiti News, as we are the first cattery in New Zealand to offer such a service to clients. Available during your cats stay for only $1.50 extra a day or $2.50 for the option with treats. We strive to feed high-quality treats including freeze dried treats and all natural varieties.